The Spa in Saxonburg was born from Dr. Ryan’s interest in wellness and aesthetics. 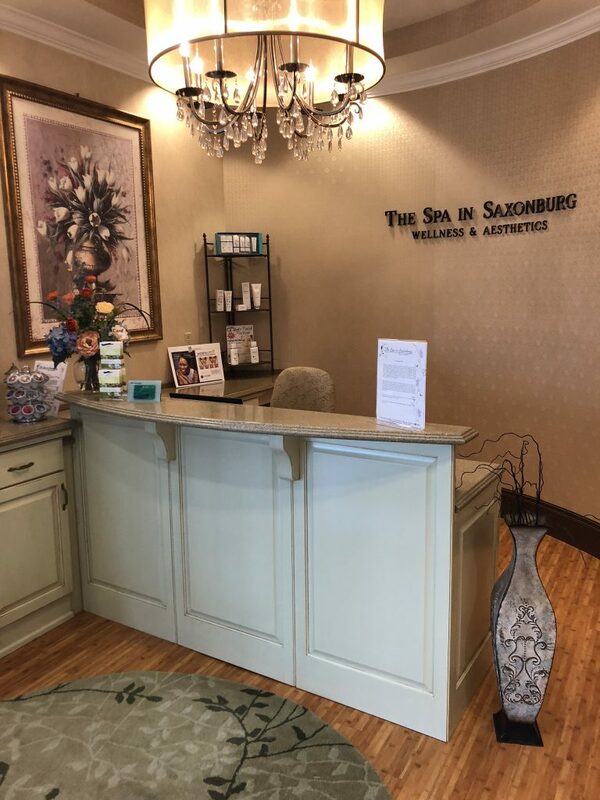 The Spa in Saxonburg started on Main Street in Saxonburg with two treatment rooms and the goal to make every client feel their absolute best. In 2011, The Spa moved to the South Butler Commons location on the corner of Alwine Road. Over the years, our portfolio of services grew from laser hair removal and spider vein reductions to the wide array of services we offer today. Our specialized services reflect our ability to customize treatments to fit every unique wellness journey. We take pride in our ability to align goals and services for every client. The beauty of the Spa in Saxonburg is: we are small. We are interested in YOU! Come on in, and tell us about that problem area or how the face in the mirror is changing. We will help you rediscover who you are and who you want to be.